There are authors that come in groups. They might know each other really well and collaborate during their lifetime, they might breathe the same culture and historical ideas or they might share a similar style, motifs and themes. Sometimes they might even be unaware of what brings them together while they are alive but later they are associated to a cultural movement. (Henry Roth, Saul Bellow, J. D. Salinger, Norman Mailer, Chaim Potok, and Philip Roth, Jonathan Safran Foer, Nicole Krauss) or better when you simply mention Jewish artists in general (directors like Woody Allen or Spielberg) you may find that they are very different among each other yet they all fall under the same umbrella. People know that they are universally acclaimed artists, that they are Americans but they also know that they are Jewish and that this, in a small or in a big way, plays a role in their career. Right now, there probably are tons of dissertations, essays, books, documentaries, studies devoted to these gartists. They are recognized as being part of a cultural movement. The same goes for Israel where you can’t mention David Grossman, without talking about Amos Oz and Abraham Yehoshua. In Italy, though, where the small and yet influential Jewish community (especially in the artistic and literary fields) has existed since before Christianity, and where someone like Primo Levi changed the world forever with If This is A Man - a book published in hundreds of countries, taught in schools and read by millions - there isn’t really a sense of a compact cultural movement regarding a national Jewish literature, although it was in the 20th century that a small and very inter-connected group of Italian Jewish authors, from Svevo to Moravia, shaped the culture of an entire country. Alain Elkann, a cultural icon and a novelist, born from a French Jewish father (Jean-Paul Elkann) and an Italian Jewish mother from Turin (Carla Ovazza) has a mission: understanding and spreading the knowledge of these authors, especially abroad. With the help of Joan Rosenbaum, the Director of the Jewish Museum in New York and of Jonathan Galassi, a highly respected translator of Italian writers, an expert on Giacomo Leopardi and Eugenio Montale and the President and publisher of Farrar, Straus & Giroux, Elkann held a lecture at the Jewish Museum on June 23rd, 2011. The event was organized by the Italian Cultural Institute. As Jonathan Galassi emphasized, the key is to understand “the importance of Italian Jewish culture, quintessentially Italian and quintessentially Jewish,” a culture that Elkann has deeply studied also by publishing a book with Italy's chief Rabbi, Elio Toaff, How to be a Jew and other works, comparing Judaism with other religions. “If you took Jewish presence out of Italian literature it would fall flat,” Mr. Galassi stated. The Director of the Italian Cultural Institute, Riccardo Viale, gave a general picture of common traits among Italian authors that probably applies to most Jewish authors worldwide as well. He emphasized the importance of the abstract and critical thinking that is essential in Jewish studies, as it goes into interpreting the Torah and the Talmud, of a particular family structure in which the Mother is the predominant character, constantly dissatisfied in a funny and sometimes tragic way and of overall perception of a persecuted subculture, the figure of the “wandering Jew”. Elkann took the audience on a journey back in time at the discovery of Italy's main Jewish authors, who were a lot closer to each other (even in a personal way) that one would expect. They all had to face two wars, political opposition, anti-Semitism, racial laws and ultimately (at least some of them) the Shoah. And this is just the beginning of what brought them closer. A young man named Ettore Schmitz lived in a region of Italy that was barely Italian, in a city name Trieste. Trieste was influenced by Mittel-European culture, the Austro-Hungarian empire. 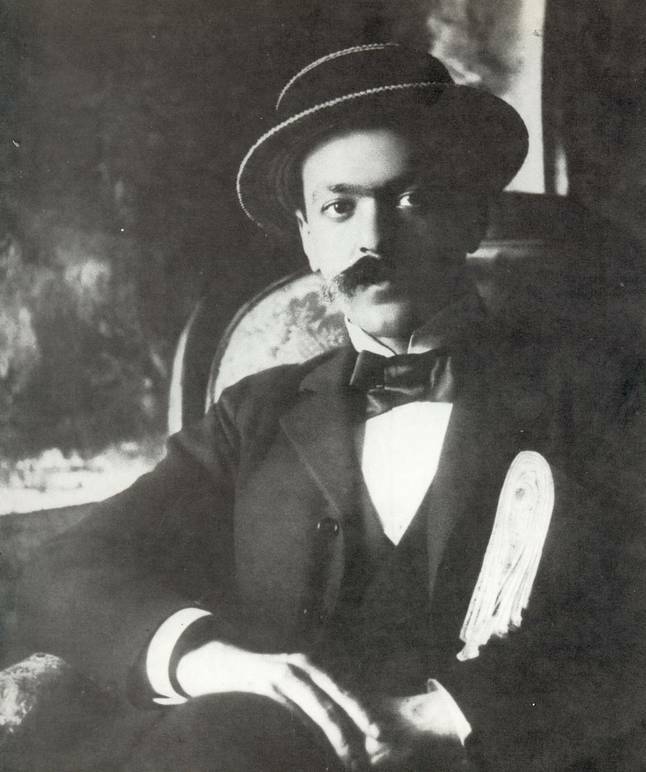 Ettore had changed his name to Italo Svevo because he wanted to sound and be more Italian. It’s important to remember that before the racial laws, Jews felt like they were Italian before anything else. For an amazing twist of faith, his English professor was author James Joyce who influenced him with his “stream of consciousness” style, read his first novels (Senilità and La coscienza di Zeno) and was busy spreading the word about him in Paris. Alain Elkann noted how Zeno, and some others of Svevo’s characters might as well be in a Woody Allen’s movie as they share incredible similarities with the neurotic, self-absorbed, highly intellectual, ironic, comically insecure Jew the director often portrays. Once he became a writer, another Italian Jew, whose last name was Pinkel, used a pseudonym (which was a common thing at the time not because of religious shame but more because a writer wasn’t perceived as a good career by the families of these authors). He wrote a book called Gli Indifferenti as Alberto Moravia, and the rest is history. In this book he also touched on existentialist themes and on psychology and featured an important mother-figure. Alberto fell in love with a Catholic girl, Elsa Morante, who had only been raised Catholic but was actually Jewish, because her mother Irma Poggibonsi was Jewish. The couple was connected with all the important Jewish and Italian writers of the time (Natalia Ginzburg, Giorgio Bassani) and wrote, among a lot of other important novels, La Storia set in Rome during World War II. In this “group” of authors we also find Carlo Levi, who founded the anti-fascist movement Giustizia e Libertà and who a friend of Stravinsky, Moravia, De Chirico and others. Another important figure was Bobi Bazlen, a friend of celebrated writers and poets such as Italo Calvino, Umberto Saba and Eugenio Montale. Bazlen brought to Italy for the first time the works of Sigmund Freud, Franz Kafka, Robert Musil, Elias Canetti and the Mittel-European culture and he also helped Luciano Foà to found the publishing House Adelphi with Roberto Olivetti. There was a writer who came up with an expression “lessico familiare” (the title of her most famous novel, Family Sayings) that described, and, in a way, perfectly embodied this universe and the cultural references in which these authors were raised. Her name was Natalia (Levi) Ginzburg. In her book all the players of this historical and cultural movement are mentioned as she recounts, in a memoir-style, the daily life at her house during childhood. Natalia married Leone Ginzburg (a great friend of the writer Cesare Pavese) and her sister Paola married the engineer Olivetti who then got remarried to the daughter of Umberto Saba. 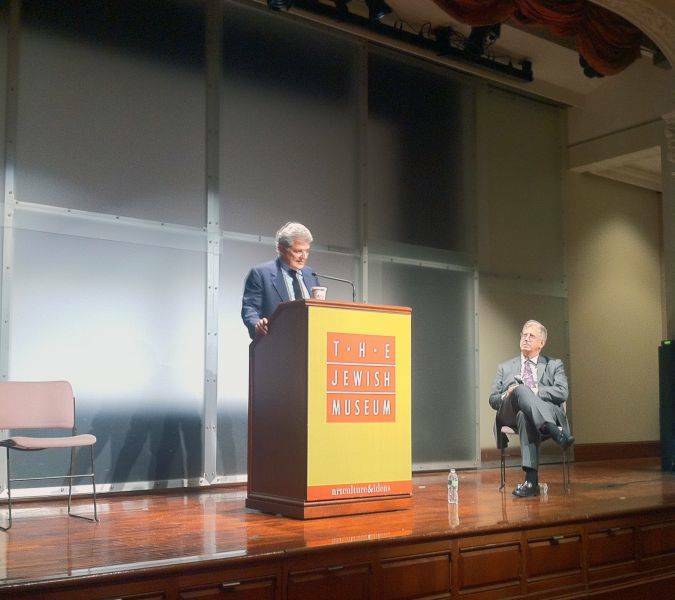 Alain Elkann then finished his lecture focusing on the group's two most famous writers: Giorgio Bassani and Primo Levi. Giorgio Bassani wrote a book titled Il Giardino dei Finzi-Contini (which was turned into a famous movie directed by De Sica that won an Academy Award as Best Foreign Film in 1971) that told the story of a Jewish family in Ferrara in the years preceding the racial laws and in the aftermath. Elkann said that Bassani is “exquisite in his writing and in recreating the world of Sephardic and Ashkenazi Jews.” What was missing in other Italian Jewish authors was all there, this this particular book: daily life, the big and small changes the family had to face as the racial laws progress, the stories of a burgeois, rich, family and the description of Ferrara, home to a small Jewish community. 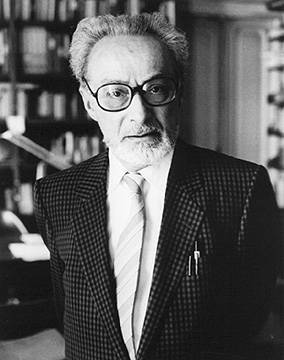 As for Primo Levi, it’s enough to say that he was one of the first Holocaust survivors to reluctantly and courageously speak out; he witnessed horrors and he was able to describe them and to remind future generations to never to forget them. Primo Levi is an institution more than an author: a classic. Italian Judaism is something that not everyone might be familiar with but it’s an essential part of Italy. As Elkann reminded the audience with a joke, pretty much the entire Roman cuisine (and in a way a lot of Italy's national cuisine) is Jewish and comes from from the Jewish ghetto. Think of the delicious “carciofi alla giudia” (Jewish-style artichokes). The beautiful synagogues of Rome, Casale Monferrato, Mantova, personal stories and rituals, are all contributions to the nation's culture and, surprisingly, they have influenced it a lot more than the average tourist might think. All these Italian authors (who in Italy are studied as the masters of the 20th century) all share this “lessico familiare” (familiar topics, words, cultural and pop references, ideas, life-experiences, mutual friends and acquaintances, same icons and literary idols) that has a cosmopolitan, Italian and definitely Jewish flavor.